Is winter finally in our rear-view mirror? Chris O’Connell practiced his daily meditation and breathing exercises at Victory Park in Dorchester during last week’s mild temperatures. The strong March sunshine and relatively mild afternoons over the past couple of days may have prompted you to start thinking that winter is over. Of course, declaring the end of deep cold and snow can be dangerous for meteorologists — the weather has been known to throw us curve balls. However, the upcoming pattern looks quite mild and odds are we have seen the last of the accumulating snow this year. Folks will always remind me that there was a big April blizzard back in 1997 and it snowed the second week of May in 1977. Last April brought a couple of days of accumulating snow early in the month and even some snow showers the second half of the month. April 2018 was one of the chillier we have seen in quite a while with the average temperature nearly three degrees below average. Although the sun was strong, the temperatures were not what most of you would consider comfortably mild. If we do reach 70 this weekend, it wouldn’t be that unusual. 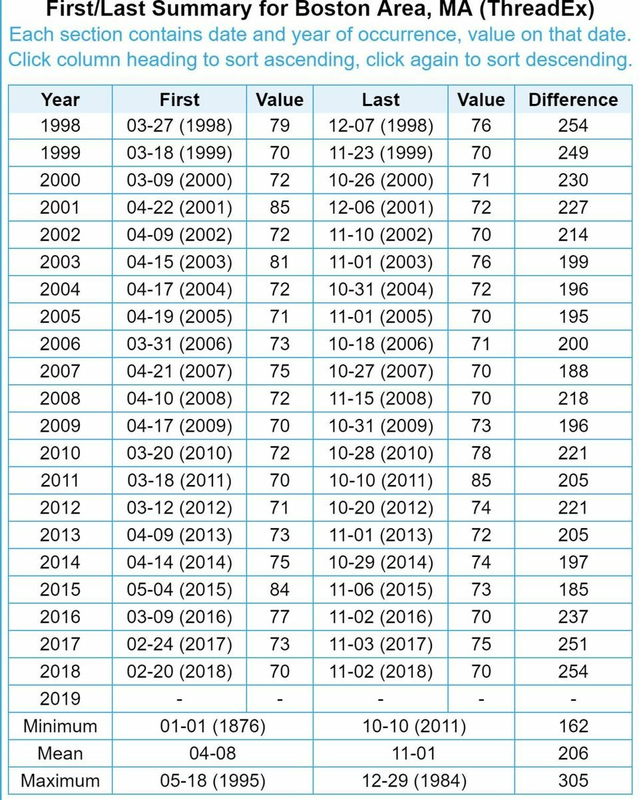 The first 70-degree days for the past couple of years have actually occurred in February, but we didn’t get there last month. On average the first 70 degree day occurs in early April. The warm weather might get you excited to put out some plants and there are plenty of varieties that will thrive in the upcoming weather. Lots of cool-weather vegetables and things like pansies and senetti do great things this time of year. Remember though, a frost is still possible in most areas until at least next month. 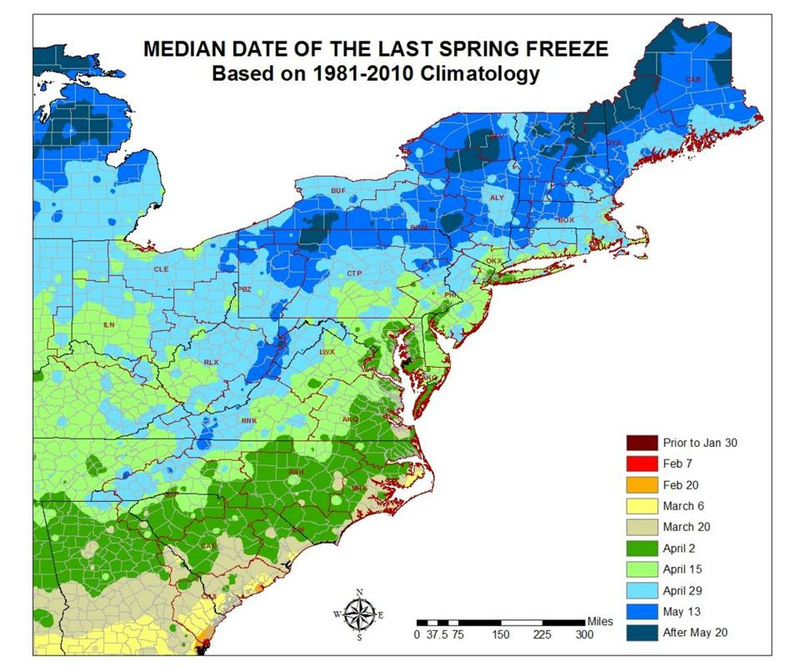 Notice on the map below how much of Cape Cod as well as Greater Boston does not see a frost beyond the middle of April. 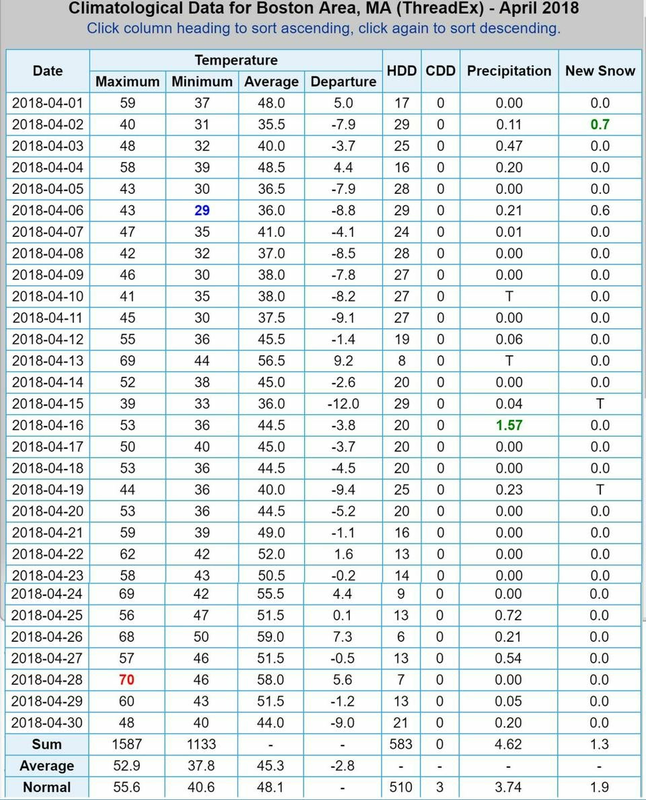 The average date of the last frost in spring is in April for much of the greater Boston area. There are a lot of signals in the atmosphere pointing towards temperatures off the average. Indeed, the long-range outlook for April has much of the eastern third of the United States in warmer temperatures. This doesn’t mean it won’t be cold or that we won’t get any snow, it just means that when we look back at April 2019, it’s likely to have averaged above normal. Check back with me on May 1 and we’ll see how accurate all of this was.